If you have not done so, download the client from http://vpnclient.usfca.edu. 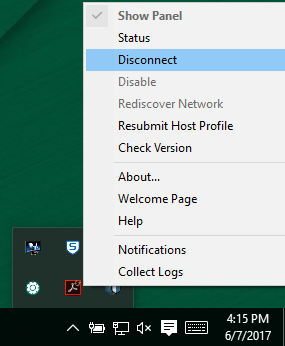 When you click on the Windows icon, the following pop-up displays. Click Save File. The file is saved in your Downloads folder. In File Manager, right-click on the Win64_GlobalProtect64.msi file and select Install. The Welcome screen displays. Click Next. 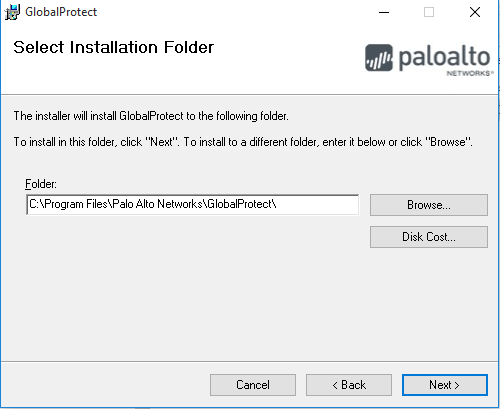 The Select Installation Folder screen displays. Click Next. The Confirm Installation screen displays. Click Next. You might see a User Account Control pop-up asking if you want to allow this app to install software on your PC. If so, click Yes. The Installation Complete screen displays. Click Close. 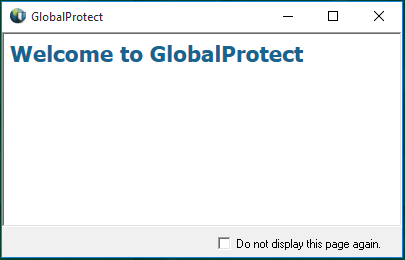 The GlobalProtect Home screen also displays. 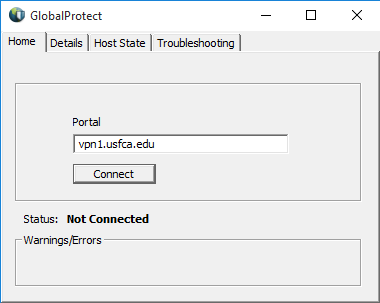 In the Portal field, type "vpn1.usfca.edu" and click Connect. 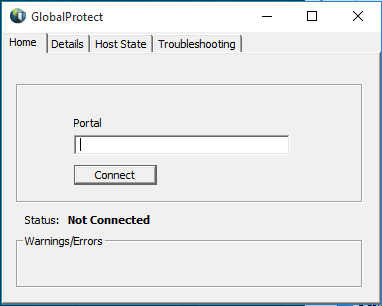 Next, enter your username and password in the GlobalProtect Login dialog box. Click Connect. 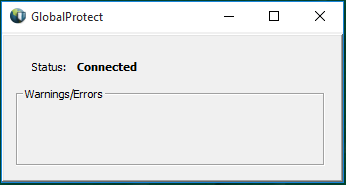 The Welcome to GlobalProtect screen displays and your status changes to connected. 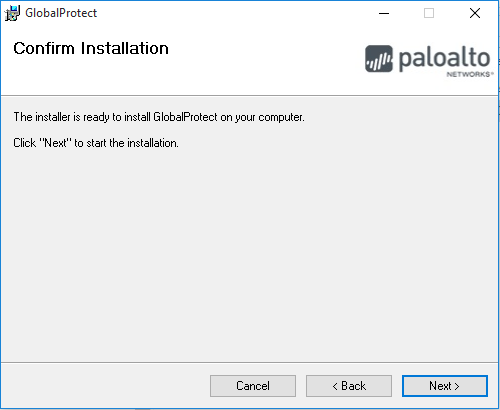 Click the up-arrow in the task bar in the lower right of your screen to display the GlobalProtect icon. 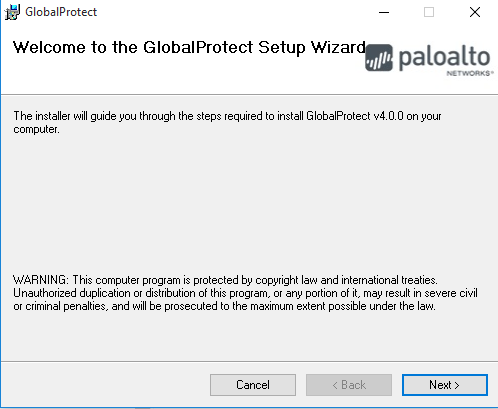 Right-click on the GlobalProtect icon. Enter your username and password, and click the Connect button. 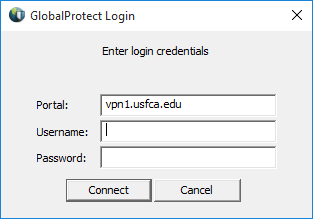 You are now connected to the USF VPN. Click the up-arrow in the lower right of your screen to display the GlobalProtect icon. 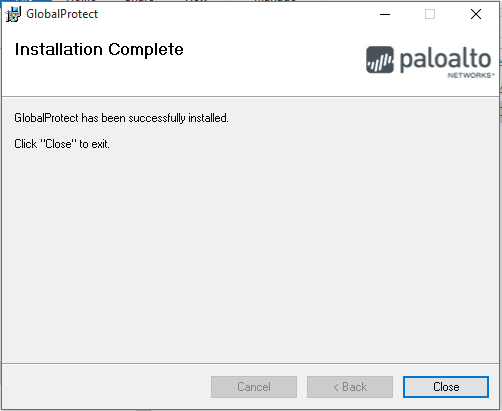 Right-click on the Global-Protect icon. Select Disconnect. Your Windows device is now disconnected from the USF VPN.